The Bachelor’s Guide books is a series of 3 books written for bachelors and dads. 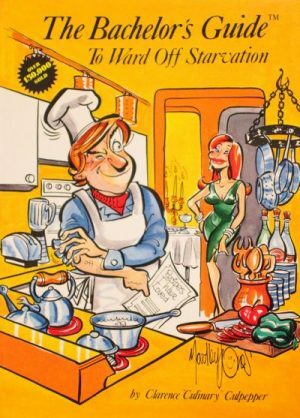 The series, which has sold over 300,000 copies internationally, includes “The Bachelor’s Guide to Ward Off Starvation“, The Bachelor’s Guide to Libations“, and “The Father’s Guide to Surviving With Kids“. Each book is illustrated by world renowned cartoonist Yardley Jones and his son, Spyder Yardley Jones. 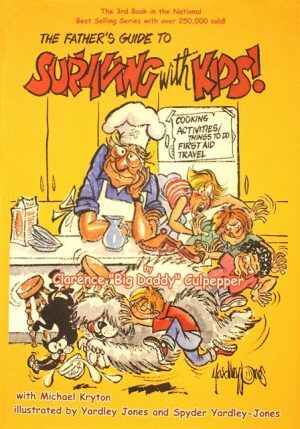 The books include recipes for breakfast, lunch, dinner and snacks, mixology recipes, fatherly advice from laundry and first aid to activities, as well as many cartoons reflecting the joys and challenges of living life as a man. They make the perfect gift for a brother, son, father, husband or male friend in your life who needs help, but in a simple way.